9921/4D Fire Engine. 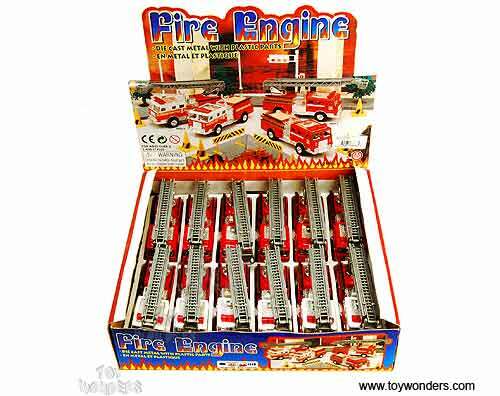 This 4.75" long diecast metal fire truck features with pullback motor action. Rescue ladder truck has a 3 section ladder extends to over 12" long! 12 pcs per display box in assorted styles. 72 pcs per inner box. 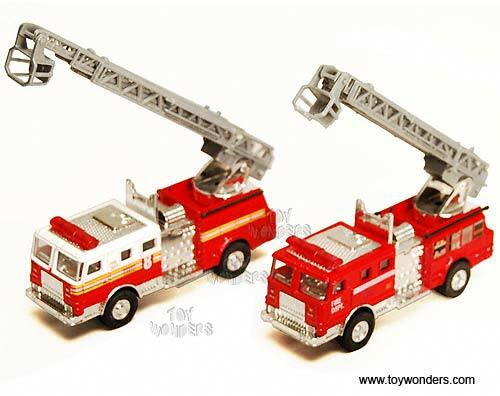 To see more Fire Truck collector die-cast vehicles (click here).